The Goodwin Tucker Group offers professional installation, repair services, shop service, facility repairs, and parts supply for your commercial kitchen, refrigeration, and HVAC equipment. We provide full-service repairs and installations for your cooking, dish washing, ventilation, refrigerators, freezers, walk-in coolers, ice production, water filtration systems, beverage systems, and laundry equipment. We also offer installations for new kitchens and remodeling or relocation of existing kitchens. Goodwin Tucker has a qualified team of 60 state licensed, factory trained service technicians to provide you with the highest quality repairs and installations for your commercial kitchen. At Goodwin Tucker Group we pride ourselves on professionalism and high quality services to all of our customers. When you choose Goodwin Tucker, you are choosing to work with a dedicated team of hardworking technicians. Our licensed technicians have expertise and an array of experience repairing and installing many types of commercial equipment and parts. We offer a 90 day parts and labor warranty. We are an authorized warranty service provider for most major manufacturers and food service equipment providers. As a certified CFESA company, you can be assured the highest quality professional standards. We have 12 locations serving Iowa, Nebraska, South Dakota, and surrounding states. Our trained and licensed technicians will provide 24-hour emergency service repairs for your equipment. We offer scheduled performance maintenance service agreements that are tailored to fit all your service, repair, and maintenance needs. Call Goodwin Tucker Group today to schedule a repair or new equipment installation with one of our certified technicians or fill out our service request form and one of our service representatives will be in contact with you shortly. Information regarding service requests can be obtained at update@goodwintucker.com. 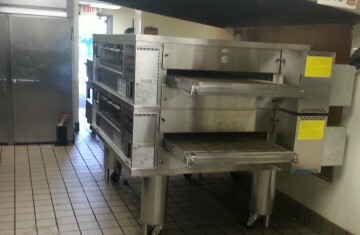 Food production is the heart of your commercial kitchen. With non-functioning equipment, food production can be a challenge and hinder the overall success of your facility. Goodwin Tucker will repair and service numerous types of commercial kitchen equipment regardless of its manufacturer or age. Our trained experts understand that every piece of equipment in your kitchen serves a critical function for your daily operations. 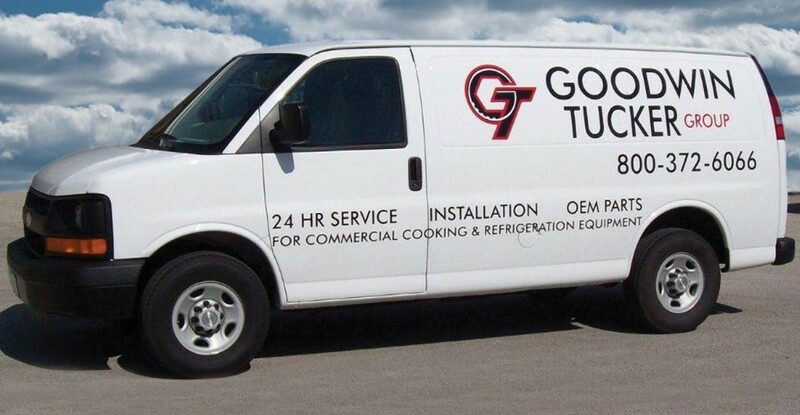 Goodwin Tucker provides repair, maintenance, and installation for convection ovens, microwave ovens, conveyor ovens, deck and rack ovens, combination ovens, ranges, grills, griddles, steamers, fryers, holding cabinets, and hot and cold wells. Call our qualified service technicians at Goodwin Tucker Group for quality repair and installation for your cooking and food production equipment. A proper functioning HVAC system allows for a comfortable, safe environment for your customers and employees. Goodwin Tucker Group delivers quality repair and installation services for your heating, ventilation, air conditioning, and refrigeration units. Properly functioning commercial HVAC equipment is important for your business in order to maintain a comfortable atmosphere throughout your property. Scheduling routine maintenance with our qualified technicians at Goodwin Tucker will help keep your heating and air conditioning equipment functioning properly. You will experience improved comfort in your entire facility when your air conditioning and heating units are operating at maximum efficiency. When your unit is properly tuned, it is much more reliable. HVAC maintenance also helps cut down on high energy costs. 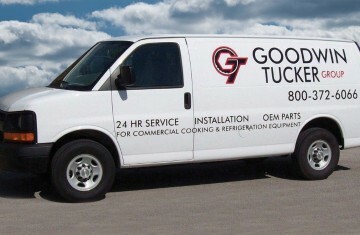 Contact Goodwin Tucker Group for quality heating and air conditioning unit repair and installation. Ventilation helps to prevent heat, smoke, and odors from circulating throughout your facility. Ventilation is commonly placed in locations in your kitchen where the most heat, smoke, and grease collects. Kitchen ventilation will catch all of the unwanted contaminants before they are released into the air you breathe. Goodwin Tucker services and supplies ventilation equipment from a variety of trusted manufacturers in many different styles. When you have ventilation systems installed in your kitchen, air is constantly being removed from inside. Goodwin Tucker Group offers make-up air services to compensate for the amount of air that is removed as a result of ventilation systems. Without make-up air, negative pressure can start to build-up within your building and kitchen atmosphere, causing an uncomfortable working and dining experience. We also perform commercial refrigeration replacement and installation, general maintenance, and repairs. Proper functioning refrigeration equipment is necessary for an operational kitchen. Without properly functioning refrigeration equipment, your food might spoil costing you time and money to replace. Our licensed technicians are trained for many types of general maintenance and sizable repairs for your commercial refrigeration. Goodwin Tucker Group provides construction and installation for your facility’s walk-in freezer or cooler. A walk-in is a substantial investment for the success and operation of your facility, and that’s why our professionally trained and certified technicians will provide you with timely services, tailored to all your requests. Our extensive list of manufacturers provides a variety of custom built walk-ins to suit all of your freezer and cooler refrigeration needs. If you need a cooler and freezer for your kitchen, make sure to ask about combination walk-ins that can help you conserve space in your kitchen by merging the two refrigerated boxes. Goodwin Tucker Group specializes in ice machine and water filtration installation, general maintenance, and repairs. Our service technicians can install your new ice machine or water filtration system or help repair any complications with your existing filtration systems. You can trust Goodwin Tucker Group to install, maintain, and repair your water filter or ice machine. With our scheduled performance maintenance (SPM) agreements, our qualified team of licensed service technicians will perform regular maintenance checkups on your ice machine and water filter. Goodwin Tucker provides commercial dishwasher repair and installation services to businesses throughout the Midwest. When your dishroom equipment is not working properly, it can cause huge problems for your facility. Commercial dishwashing equipment is generally used on a daily basis to sanitize cookware and kitchen utensils, glassware, and silverware. Our certified technicians have vast experience repairing a variety of dishroom equipment, including booster heaters, disposers, pulpers, soakers, sprayers, rinsers, ware washers, and tray handling equipment. If your facility’s equipment needs a repair or new equipment installation, you can trust Goodwin Tucker’s certified technicians to get the job done right. Scheduled performance maintenance (SPM) agreements help to keep your equipment in good working order and functioning at its peak performance longer. With Goodwin Tucker’s scheduled performance maintenance, our certified technicians will perform periodic checkups on your equipment. These maintenance checkups are scheduled in advance, so they can fit into your busy schedule. Our technicians will do performance checks even when your equipment appears to be functioning properly. There might be unseen problems that our factory trained technicians can detect only when they come to your location and inspect your equipment. Regular checkups by our professional technicians at Goodwin Tucker Group will help to maximize the life expectancy of your systems. 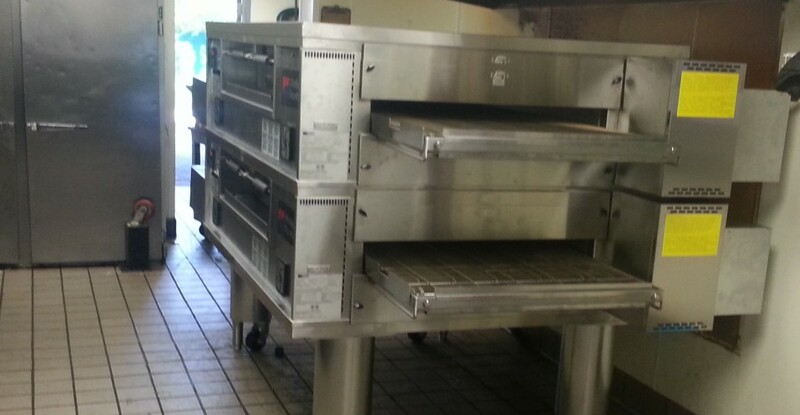 Commercial restaurant or kitchen equipment is a significant investment for your business, and Goodwin Tucker wants to make sure it stays running adequately for many years. Scheduled performance maintenance increases productivity by identifying problems before the equipment stops functioning all together. When your equipment is inoperative, it can become a nuisance to employees in the work place and result in potential loss of revenue. SPM agreements are a smart choice for the future of your business. If you are interested please send your contact information at sales@goodwintucker.com.